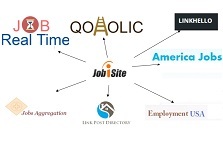 Jobisite allows recruiters to post both regular job ads and premium job ads. just buy premium ad credits from dashboard. Premium job ads are shared in various other job boards also. So will get more traffic. Premium job ads are shared in various job search engines and aggregators. Premium job ads are shared in many social sites. Premium job ads are shown in top results for 30 days. Premium job ads allows website links to be added in description.